as well as professor for media sociology at the University of Paderborn. I am educated as a philosopher, and focused very early on science and technology studies (STS), especially in the fields of artificial intelligence, robotics, and gender studies. 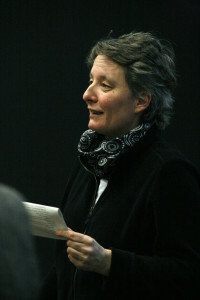 As STS is not established as a separate discipline in Germany (and many other European countries), I have worked in many different disciplines to be able to follow my research interests – from media studies, to computer science, the history of technology, as well as interdisciplinary and international contexts.